Five men from Northwest Indiana have been honored with the nation&apos;s highest military decoration, the Medal of Honor. The selfless service each displayed in combat epitomizes putting the lives of others above their own. 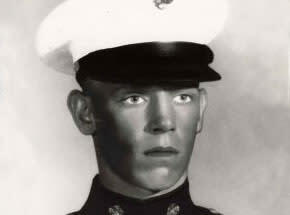 During meritorious action, he was killed in action, Quang Nam Province, Republic of Vietnam. 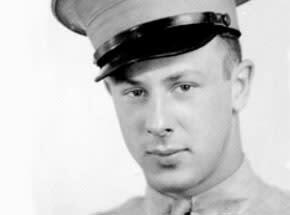 While on night duty as a mortar man, he heard enemy movement near the perimeter of Fire Support Base Tomahawk. The noise was an enemy explosive thrown toward his position. He caught the grenade, warned his comrades and tried to carry it from the vicinity, holding it against his body to save the lives of others. Marine Lance Cpl. Emilio A. 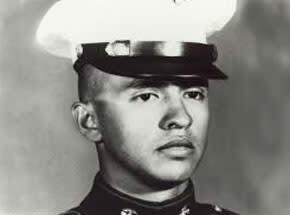 De La Garza Jr.
During meritorious action, he was killed in action, Da Nang, Republic of Vietnam. While on patrol looking for enemy soldiers, the Marines came across the enemy in the reeds around a pond. When the enemy pulled the pin on a grenade, he put himself between it and others on patrol, saving the lives of two Marines. During meritorious action, he was killed in action, Yudan-ni, Korea. Leading an outnumbered patrol to assault an enemy-held hill, he and seven men were wounded, but he continued to organize his forces. Hit a second time, he refused to be evacuated until his men were safely away. He died of loss of blood and bitter cold. He was cited for meritorious service at Stones River, Tenn. on Dec. 31, 1862. Ignoring fire from Confederate forces during the battle of Stones River, Tenn., to carry wounded soldiers from the field, he saved Col. I.C.B. 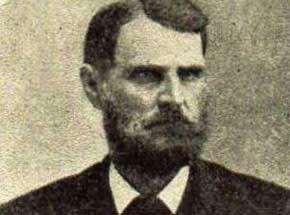 Surnan, who later testified on behalf of Whitehead receiving the Medal of Honor. He was cited for meritorious service at Missionary Ridge, Tenn., on November 26, 1863. Rallying troops at the battle of Missionary Ridge, Tenn., he picked up the colors from a fallen comrade and planted the flag on the Confederate breastworks. In so doing, he exposed himself to enemy guns to turn the tide of the battle. Medal of Honor recipients were nominated by Rick A. Richards. 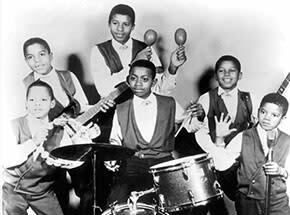 The Jackson 5, later known as The Jacksons, is an American popular music family group from Gary, Ind. Active from 1964 to 1990, The Jacksons played from a repertoire of R&B, soul, pop and later disco. During their Motown Records and Epic Records tenure, The Jackson 5 were one of the biggest pop music phenomena of the 1970s and 1980s and the band served as the launching pad for the solo careers of their lead singers, Jermaine and Michael, the latter brother later transforming the early Motown solo fame into greater success as an adult artist. Later, youngest daughter, Janet, achieved music fame almost as much as her brother Michael. Born and raised in Gary, Ind., the Jackson brothers were guided in their early careers by their father, Joseph Jackson, a steel mill crane operator and former musician, and their mother, Katherine Jackson, who watched over the boys during the early years. Mr. Lucky&apos;s, a club at 11th and Grand in Gary, served as the venue for the group&apos;s debut. In 1969, Motown Records signed The Jackson 5, and Diana Ross formally introduced them to the public on Aug. 11, 1969, at a Beverly Hills, Calif. club. They worked tirelessly on their performance routines, and their fresh harmonies and arrangements propelled them to the top of popular music. The singing efforts of Michael and his brothers led to the group&apos;s induction into the Rock and Roll Hall of Fame in 1997 and the vocal Group Hall of Fame in 1999. Two of the band&apos;s recordings, "ABC" and "I Want You Back", are among the Rock and Roll Hall of Fame&apos;s 500 Songs that Shaped Rock and Roll, with the latter track also included in the Grammy Hall of Fame. On Sep. 8, 2008, The Jacksons were honored as BMI Icons at the annual BMI Urban Awards. The world of music and entertainment was enhanced greatly by The Jackson 5 / The Jacksons. They made a "world of difference" as musicians, performers and artists. Millions of people around the world have been touched by this family group from Gary. They have brought us much joy and will be forever remembered by future generations. They are indeed legendary! The Jackson 5 / The Jacksons were nominated by Evelyn Lahaie and Stephen G. McShane. Ferid Murad (1936 - ) was born in Whiting, Ind. to an Albanian immigrant restaurateur known as John Murad, and Henrietta Bowman. It was in the restaurant that young Ferid showed early promise. He completed his undergraduate studies in chemistry at DePauw University. He then enrolled in Case Western University&apos;s new experimental MD-Ph.D. program. After graduating and completing a post-doctoral program, he worked in various capacities becoming a senior scientist for Abbott Laboratories and Chairman of the University of Texas-Houston Department of Science, Integrative Biology, Pharmacology and Physiology. He along with Robert F. Furchgott and Louis J. Arraign are known for demonstrating that nitroglycerin and related drugs work by releasing nitric oxide into the bloodstream. All three were awarded the Nobel Prize in Physiology and Medicine in 1998. Dr. Murad and others found that the release of this gaseous nitric oxide acts as a signaling device to various vascular systems such as the cardiovascular system and the reproductive system. This finding led to the development by others of the innovative drug Viagra and other male pharmacological products. 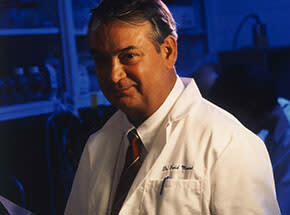 Dr. Murad is a Professor in the Department of Biochemistry and Molecular Biology at George Washington University in Washington, D.C.
Paul A. Samuelson (1915 - 2009) was born in Gary, Ind. to pharmacist Frank Samuelson and the former Ella Lipton. At the age of 16, Paul enrolled in the University of Chicago and soon developed a love for economics. He then went to Harvard University and obtained his master&apos;s in 1936 and his Ph.D. in 1941. Much of his career was spent as a professor of economics at the Massachusetts Institute of Technology. He built MIT into a world-class center of graduate studies in economics and counts among his students eight Nobel Laureates. Although he left Gary at an early age, his influence in the field of economics knows no geographical bounds. He demonstrated a capacity to innovate and explore by introducing mathematical modeling to various concepts. For example, his multiplier-accelerator captured the fluctuations of market economics. 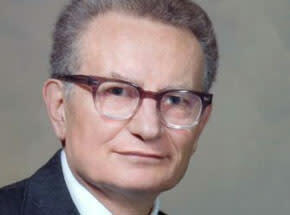 In awarding him the 1970 Nobel Prize in Economic Sciences, it was stated, "More than any other contemporary economist, Samuelson has helped to raise the general analytical and methodological level in economic science. He has simply rewritten considerable parts of economic theory." He died in 2009 at the age of 94. Harold Clayton Urey (1893 - 1981) was born in Walkerton, Ind. and was the son of Rev. Samuel Urey and Cora Rebecca Reinoehl. He experienced an early exposure to religion and had a strict upbringing. Harold overcame his lack of exposure to physical chemistry by pursuing his boyhood interest in animals while exploring the flora and fauna around his home. He was educated in rural schools and after graduating from high school, taught in country schools. He earned his Ph.D. in chemistry in 1923 from the University of California at Berkley. His important contributions were completed when he worked at Columbia University. Among his accomplishments was the discovery of deuterium which he isolated by distilling liquid hydrogen. This discovery enabled him to win the Nobel Prize in Chemistry in 1934. Professor Urey served as the Director of War Research, Atomic Bomb Project, Columbia University from 1940 to 1945. His demonstration of the existence of "heavy water," combined with Columbia University&apos;s team discovery of the gaseous diffusion method to separate uranium-235 and uranium-238 contributed significantly to the development of the atomic bomb. 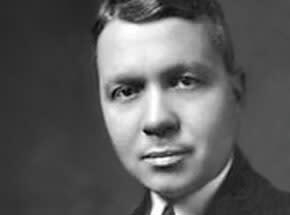 Professor Urey stands out among Niels Bohr, Robert Oppenheimer and a few others who achieved this milestone. Professor Urey died in LaJolla, Calif. at the age of 87. 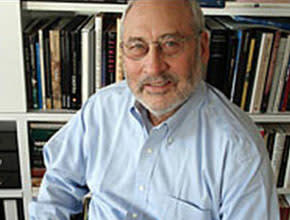 Joseph E. Stiglitz (1943 - ) was the son of Nathaniel Stiglitz and Charlotte Fishman of Gary. From kindergarten until adulthood, he was a student in the Gary Public School System, completing high school at Horace Mann. He enrolled in Amherst College in Massachusetts. Rather than graduating, he left in his senior year to pursue graduate studies in economics at MIT, where he worked with Nobel Prize Laureates Paul Samuelson, Robert Solow, Franco Modigliana and Kenneth Arrow. He obtained his Ph.D. in economics from MIT in 1966 and became an assistant professor there at the age of 27. From 1995 to 1997, he served as the 17th Chair of the Council of Economic Advisors under President Bill Clinton. He then worked as the Chief Economist for the World Bank from 1997 to 2000. In 2001, shortly after he joined the faculty of Columbia University as an economics professor, he was awarded the Nobel Prize in Economics for his analysis of markets with "asymmetric information." He is the author of numerous books, such as "Freefall: American, Free Markets and the Sinking of the World Economy," "Globalization and its Discontents" and "Principles of Macroeconomics." Professor Stiglitz is noted for providing practical suggestions for solving today&apos;s complex economic problems. Nobel Prize recipients were nominated by James Flannery and Steve Dunphy, Ph.D.